All the way from the old quarters of Mapo Hall in the ancient albeit spellbinding city of Ibadan, in the west of Nigeria, the brand Fashpa delivers a series of beguiling images spotlighting its latest assemblage, titled Ijoya. In continued jollifications of Eid el Kabir, Fashpa maintains its love for crisp cuts, florals and modern design with this capsule collection. 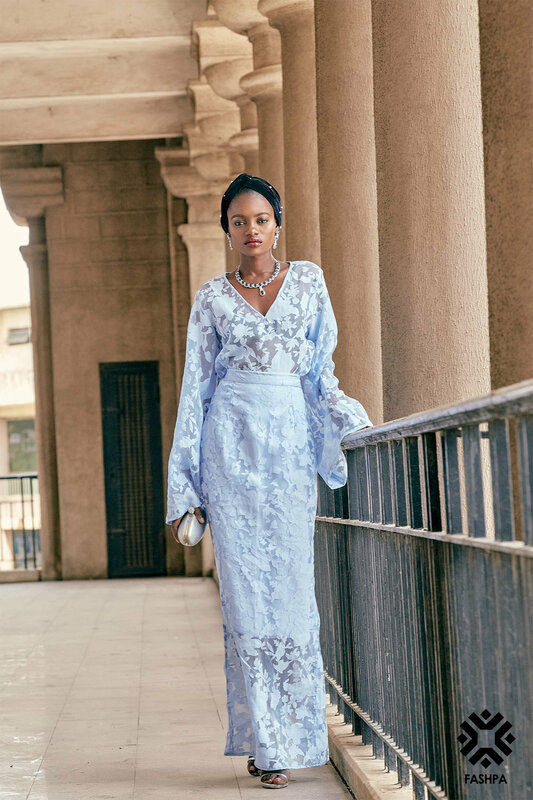 Pieces are elevated but strait-laced, inspired by the pomp and pageantry of Nigerian weddings and crafted for the contemporary muse. 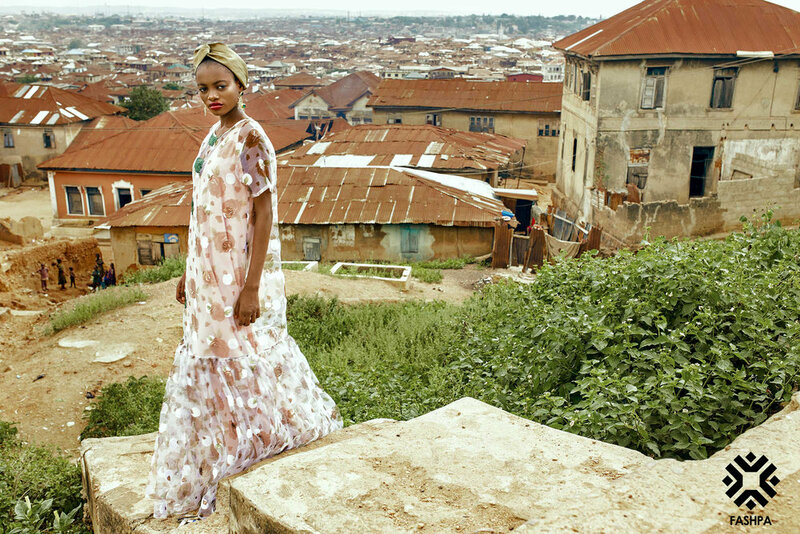 Fashpa taps into a rich Yoruba heritage here with its choice of fabrics, seeing the traditional hand woven Aşǫ Oke, lace, and organza with a modern blend of embellishments like pearls and fringe trimming. 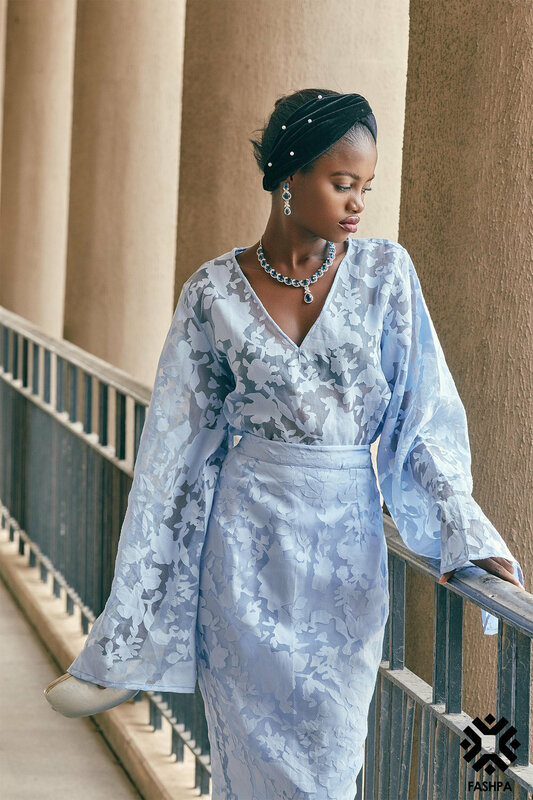 Ijoya is a fresh approach to the togs worn to typical Yoruba soirées, with shrunken gélés, bubble and bell sleeves, and turban-style hijab in place of exaggerated ones. 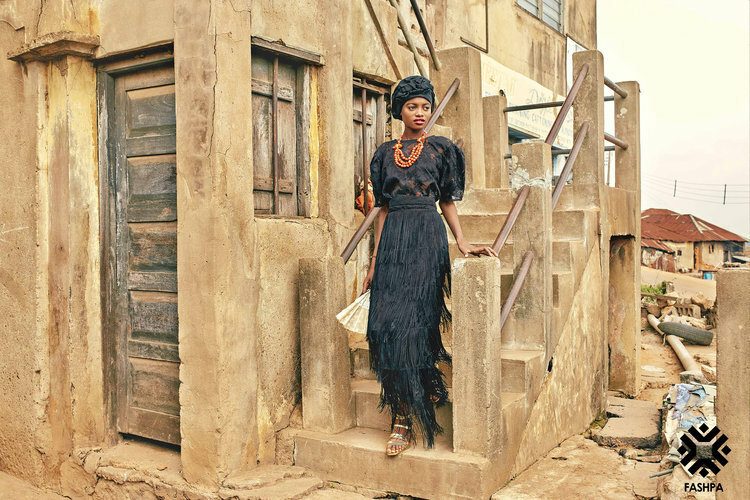 Here's just the perfect mélange of old and new, created to suit the urban african woman.